n excellent product not only have nice quality, but also need a great service. From SAP Business One 9.2, we upgrade Service Module, which support creation of service calls for vendors, assignment of equipment cards to vendors and allocate service contracts to vendors. To create a service call, go to Service > Service call or go to Equipment card and create a service call from there. 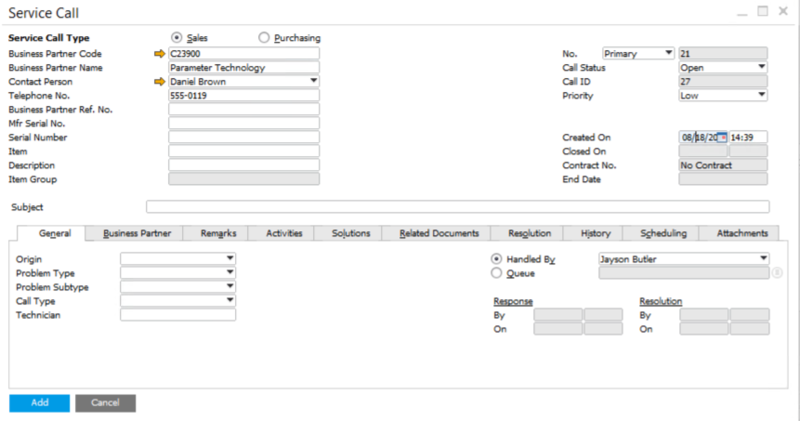 From Service call, you can create a purchasing type if you receive service from venders, or create a sales type if you receive service from customers. You may also choose the Technician and handling person.